Mankato Civic Center in Mankato, MN. Select shows on the tour will feature special guests Pop Evil or In This Moment (see itinerary below for specific dates/info). Tickets for Disturbed’s tour go on sale to the general public beginning Friday, March 29th at 10:00AM local time at http://www.disturbed1.com/tour. Citi is the official presale credit card for the tour, and Citi cardmembers will have access to purchase presale tickets beginning Wednesday, March 27th at 10:00AM local time until Thursday, March 28th at 10:00PM local time. Every ticket purchased online for Disturbed includes your choice of a CD or digital copy of the band’s latest album, Evolution. You’ll receive instructions via email on how to redeem your album after ticket purchase. A limited number of VIP tickets will also be available. 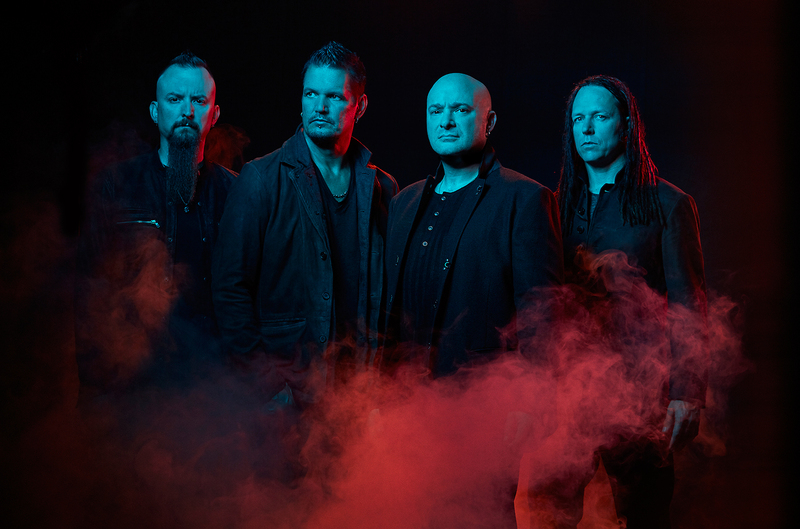 Since launching the tour back in January with a performance on Jimmy Kimmel Live!, Disturbed (vocalist David Draiman, guitarist Dan Donegan, drummer Mike Wengren and bassist John Moyer) has drawn rave reviews for their emotionally powerful live show, with critics pointing out the band’s uplifting messages and the many moving moments that take place during their nightly set, including a tribute to the late Chester Bennington and Pantera’s Vinnie Paul and a call to help those in need who are battling addiction and depression – click HERE to watch Rafa Alcantara-directed clip with some of the tour’s highlights. A deluxe version of the album—which includes a live version of “The Sound of Silence” featuring Alter Bridge/Slash vocalist Myles Kennedy—can be heard in its entirety by clicking HERE. XCOM 2: War of the Chosen DLC Review!